Walk With Us are a friendly group of passionate and proactive people who share a common goal to work amongst the Gold Coast community. 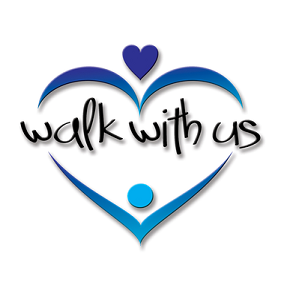 Walk With Us support those experiencing homelessness, mental health, domestic violence, loneliness as well as the youth and disadvantaged of the Gold Coast. Walk With Us claim to be “a mixed bunch” who have come from a wide range of backgrounds, each with our own story to tell but all with a genuine motivation to help others. The team at Walk With Us have all had previous experience in working amongst the community in varied roles, and understand how quickly and unexpectedly lives can change and how easy it is to fall on tough times. Walk With Us have created events to drive the donation of sleeping bags and food and clothing to support Gold Coasters in Winter, as well as their largest event which provides Christmas lunch, entertainment and gifts for all over 200 Gold Coast locals. Walk With Us works alongside many other charities with the same goal in mind to help those in need. From helping the homeless and disadvantaged to helping build domestic violence causes, Walk With Us helps those needing a helping hand. Another of the fantastic community events which Walk With Us creates is ‘Dinner in the Park’ which provides food, conversation and community every Monday night – rain, hail or shine. This event is proudly supported by Tony’s Pizzeria, Slice Pizzeria and Loveday’s Quality Meats. To find out more about Walk With Us, how your business could partner with them, make a donation, or purchase one of their awesome ‘Be a good human’ singlets, visit the website.